Even though it’s unseasonably warm in Melbourne at the moment, I’m under no illusions that winter is on the way! The odd chilly night has seen me with my slippers on especially on our lovely timber floors, which also got me thinking that the most practical DIY creation for the season would have to be a rug. 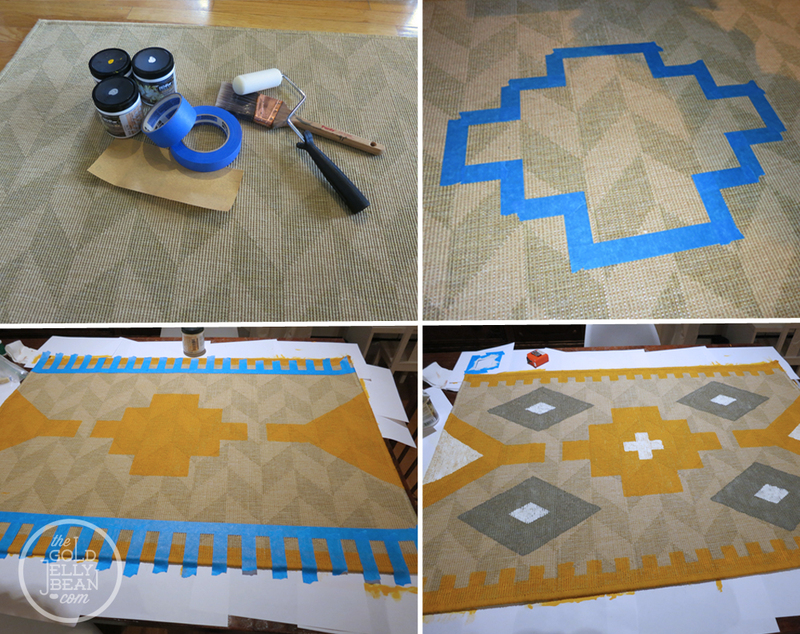 I got the idea for this crafty kilim (or woven tapestry) rug from The Gold Jellybean, who are forever coming up with some great home-made projects. It is relatively easy to create and references the geometric and chevron trends that are popular at the moment. Best of all, you can choose your own colours, which allows the rug to complement and personalise whatever space you choose to add it to. First, find the centre of the mat, using your ruler to measure the edges. Then tape out the edges of your chosen design. If it is geometric, like the one from GBJ in the pictures, use your ruler to measure that out before taping, too. 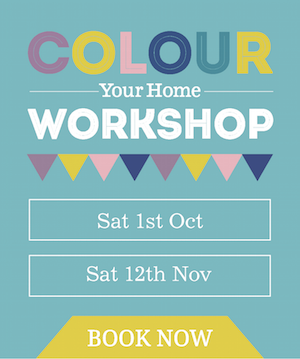 Lastly, paint – using your tape as a guide, paint out your design. Allow the paint to dry according to the instructions before removing the tape. Then, voila! 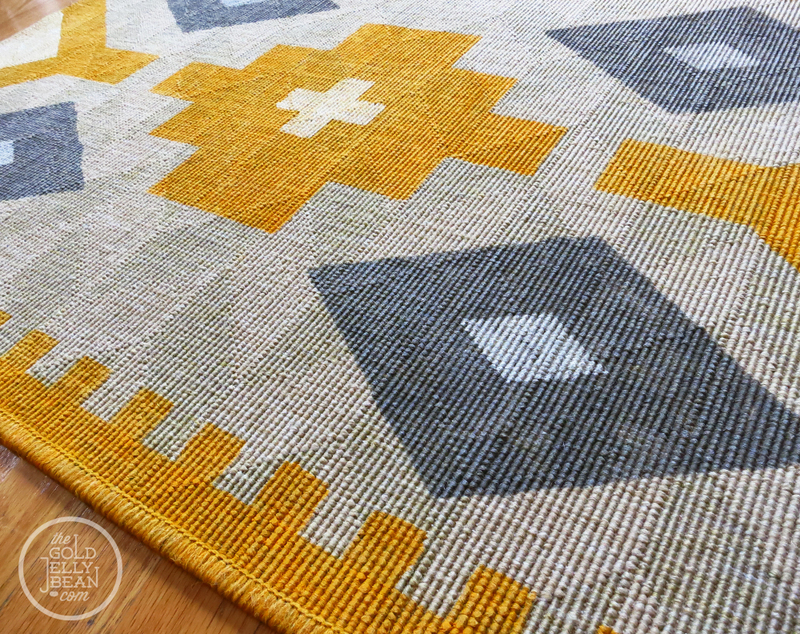 Your very own personalised kilim rug. If you have easy, fun craft ideas that you’d like to share, or if you try this one yourself, I’d love to hear from you on Facebook or Instagram. Happy crafting! That looks splendid! You can barely even tell it is painted! I have been trying to find a rug in a pattern I like for some time not but have been unsuccessful. I may just have to go the route you went!